Oakwood, Ga. … Mencom Corporation will introduce its new Expandable Din Rail Terminal Modules at IMTS – The International Manufacturing Technology Show 2014 being held at Chicago’s McCormick Place September 8-13. Mencom Corporation can be found in Booth #E-4674 in the Industrial Automation North America Pavilion which is located in the Lakeside Center(East) Building. Don’t Limit Yourself to a Terminal Block Connector on Your Din Rail. Mencom’s new expandable T35 series of Din Rail modules allow you the convenience of mounting a wide variety of connectors to your DIN rail. Also known as “break-out boards” these modules allow the end user to take a pre-molded connection, like a ribbon cable or D-Sub, and easily break it out to individual terminal points. This is all done while taking up minimal space on the DIN rail. Custom interface modules that may require special circuits or components can be designed with quick turnaround from design to delivery. 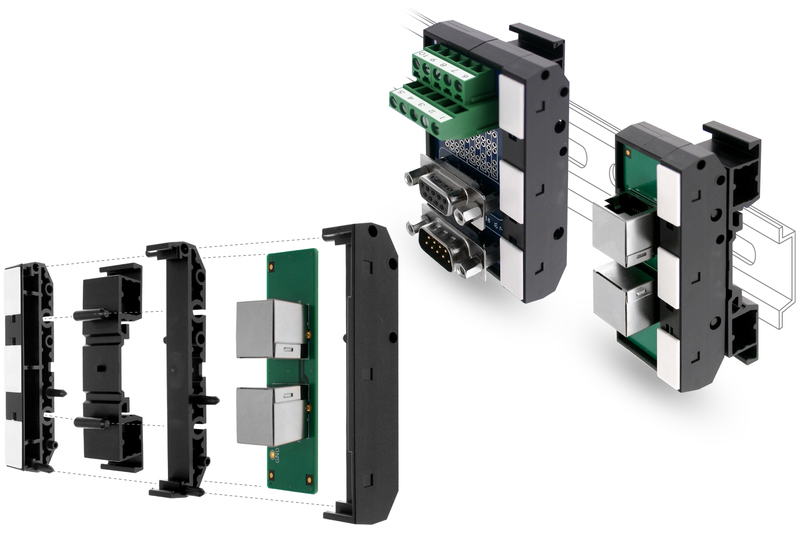 Mencom offers a broad range of DIN Rail mount modules that provide a wiring transition from a variety of connectors to fixed wiring, or wireable terminal block. To speak with one of Mencom’s sales technicians, simply Contact Us today.